The Cathedral Excavations Museum under the Residenz- and Domplatz provides a view into building activities occurring since Roman times in the area of the present cathedral. A particularly impressive part of the show includes finds excavated from a Roman villa; archaeologists unearthed mosaics, wall sections, sewers, small objects, and a hypocaust system. 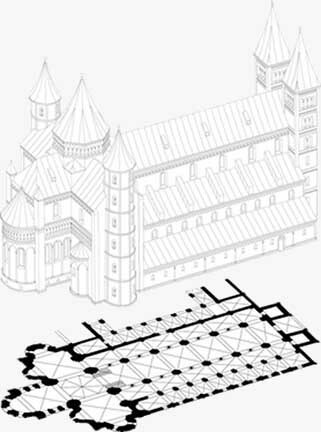 Visitors can also see the foundations and above-ground wall sections of the west towers of the Romanesque cathedral extended in the late twelfth century under Archbishop Konrad III. Archbishop Wolf Dietrich (1587–1612) had this building demolished after a fire (1598). The present early baroque cathedral was consecrated in 1629.